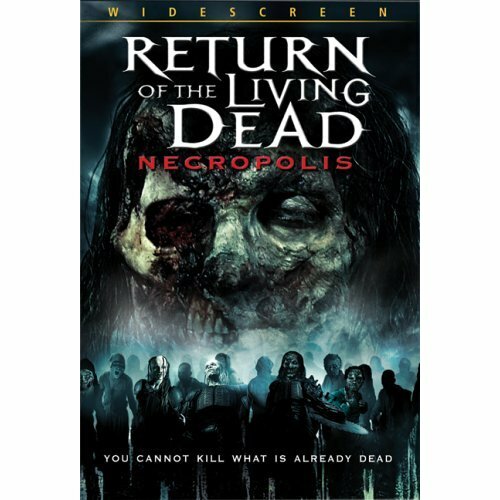 Just watched Return of the Living Dead: Necropolis which is the fourth film in the Return series. I had heard that this, and five were both truly dreadful films, but I really enjoyed this! Set at least ten years after part three, the film starts with a dodgy American buying the last remaining zombie canisters (the cause of the outbreaks in the previous films). The American is a head scientist at a mega corporation which makes everything from weapons to food stuffs. 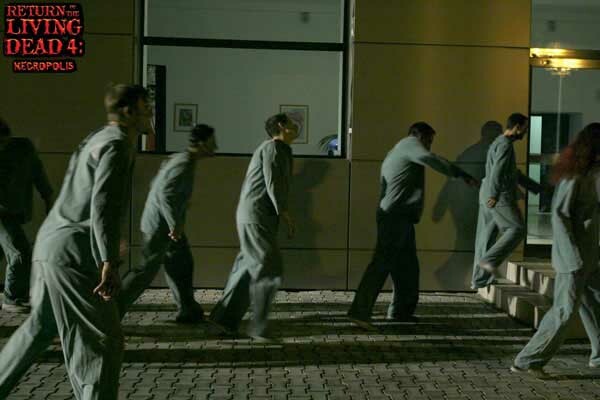 A group of teenagers discover their injured friend was secretly taken to the corporation HQ rather than being dead like the Hospital told them. They decide to get their friend back by sneaking into the facility. Due to the crappy security they easily get in, where they discover from the shady scientist (the main characters uncle) that many many test subjects have been experimented on, turned into brain hungry zombies. If that wasn't bad enough; the security system has failed releasing the hundreds of zombies. The film is really fun, and is a classic story that doesn't attempt anything new. There are nods to the previous films in the form of the canisters themselves, as well as zombie cyborgs that Part 3 introduced. This time however the zombies are no longer immune to head shots, and are easily killed by that method. This is a good thing due to the amount of the ghouls. The zombies are mostly a lot less intelligent than before. There are still a few that can talk, and act with intelligence, but for the most part these are slow walking, brain dead creatures. The film was filmed in East Europe somewhere, which can be seen in many characters that have foreign accents (despite the film allegedly taking place in America) but despite this the acting is quite good, and a lot better than I expected. The zombies look fantastic, and there is lots of brain munching, as well as action, and heads being crushed. The ending is a bit traditional, but was cool. The main characters were a likable bunch which made a nice change. The soundtrack was ace, lots of late 90's rock and metal such as Godsmack, and Alice Cooper. I really enjoyed this. It is definitely not an intelligent film, but is well made, and a good escape from rubbish real life.